How can my utility participate? Thank you for your utility’s interest in participating in the Joint Michigan Apprentice Program! JMAP apprentices meet for on-site instruction twice a year with field training and evaluation throughout the year. If you’d like to partner with JMAP for your apprentice training, contact jmap@wpsci.com. How can I become a lineman? Do you love being outdoors and working with your hands? Are committed to learning a trade on-the-job? Being a lineman might be the career for you! Linemen are responsible for the maintenance of electrical distribution and transmission systems. They work from elevated positions, work with high levels of electricity and operate large equipment like bucket trucks and digger derricks on a daily basis. Linemen are the first responders of our industry, and they play a vital role keeping the lights on for us all. While JMAP is proud to train the utility line workers of the future, the first step to becoming a lineman—and entering the JMAP program—is to be hired as an entry level apprentice at a utility. Once hired, your utility will provide training in the field from senior lineman and through an apprentice program like JMAP. To help make yourself the best candidate in your search for employment, you can enroll in a pre-apprentice program like the one offered by our partner Northwest Lineman College. 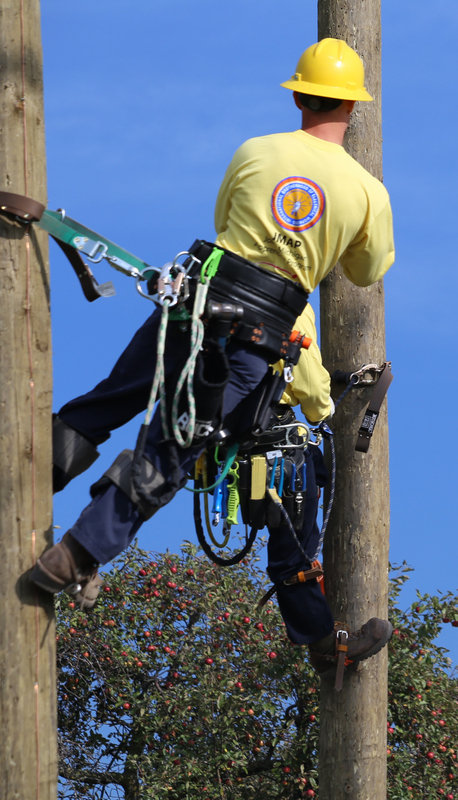 Pre-apprenticeship programs typically take 15 weeks and provide new linemen with valuable skills and experience making sought after hires for utilities seeking apprentice linemen. The Joint Michigan Apprentice Program is committed to producing safe, high-quality journeymen through exceptional, state-of-the-art apprenticeship training for the next generation of Michigan’s utility workers.